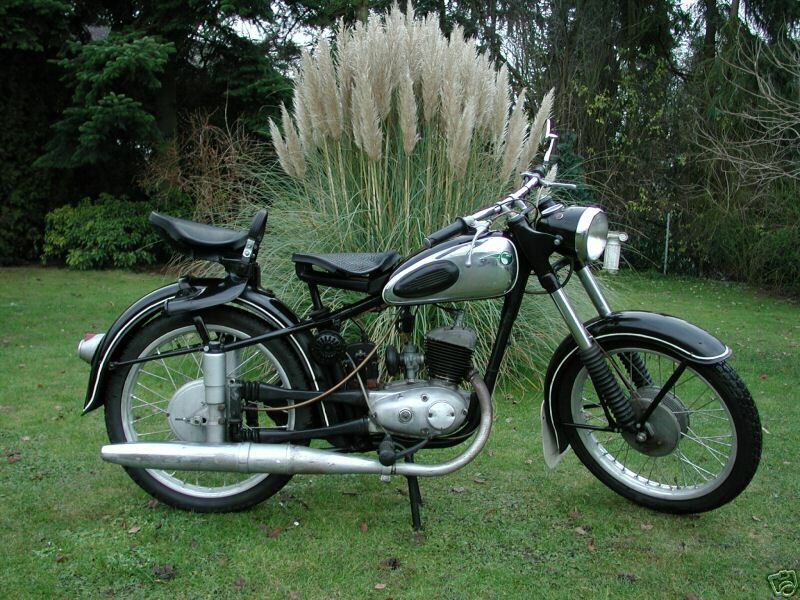 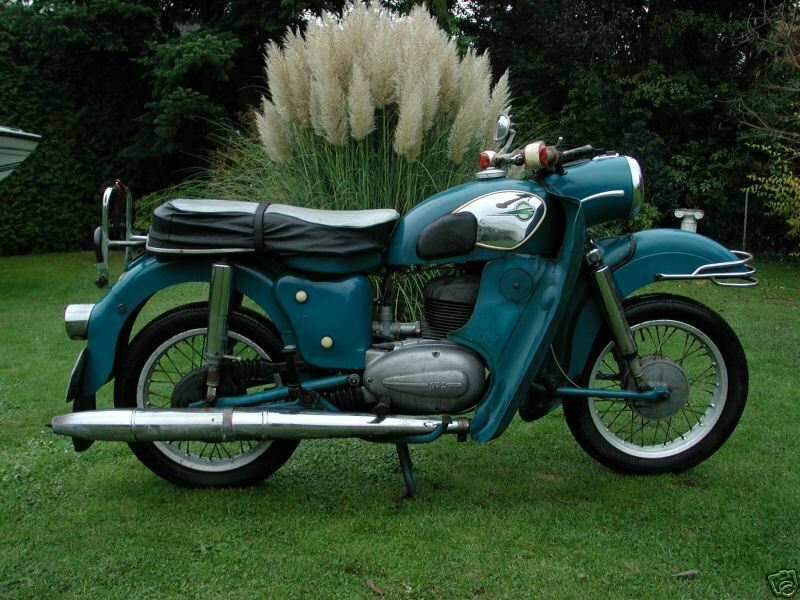 Germany (Motorrad-und Zweiradwerk) Was started in 1956 when the Soviets dismantled DKW. 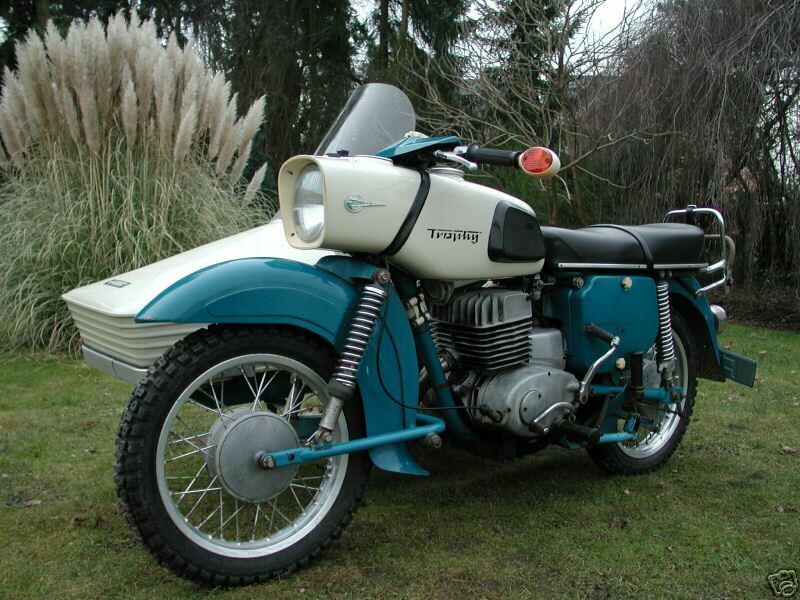 In 1992, after reunification, private investors restarted the MZ production. 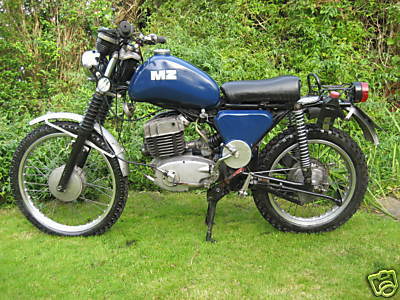 Hong Leong, a company from Malaysia, bought MZ in 1996. 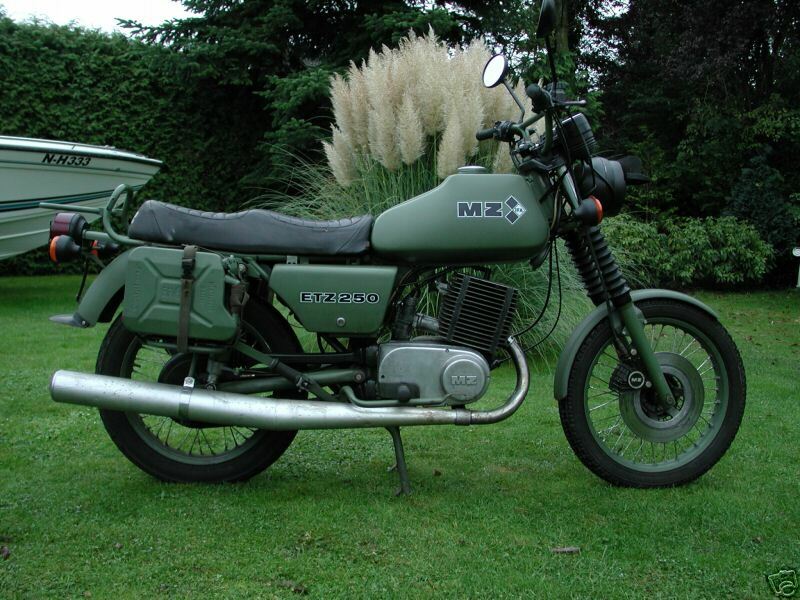 MZ motorcycle history. 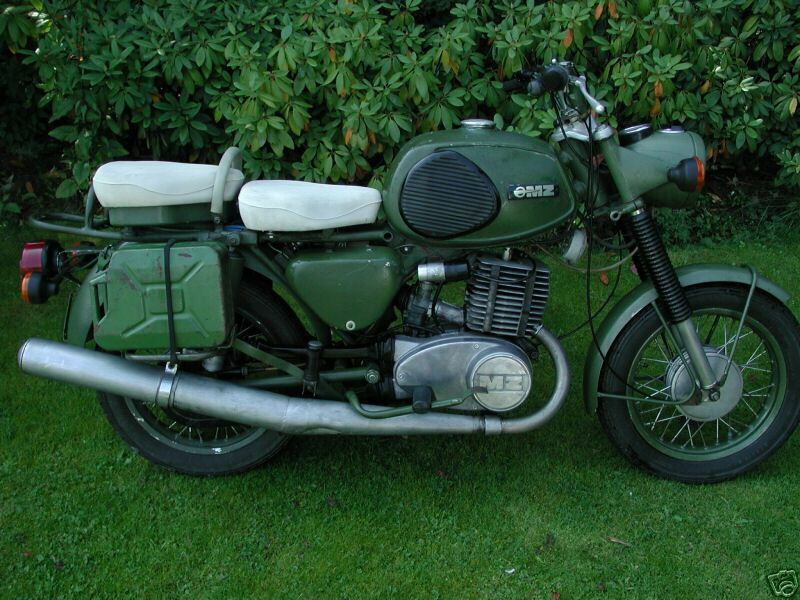 1965 MZ ES175/1 This vehicle was in service with the Deutsche Reichsbahn (East German Railway) from its first registration in Sept 1965, until it was retired from service and sold to a private individual in Jan 1987. 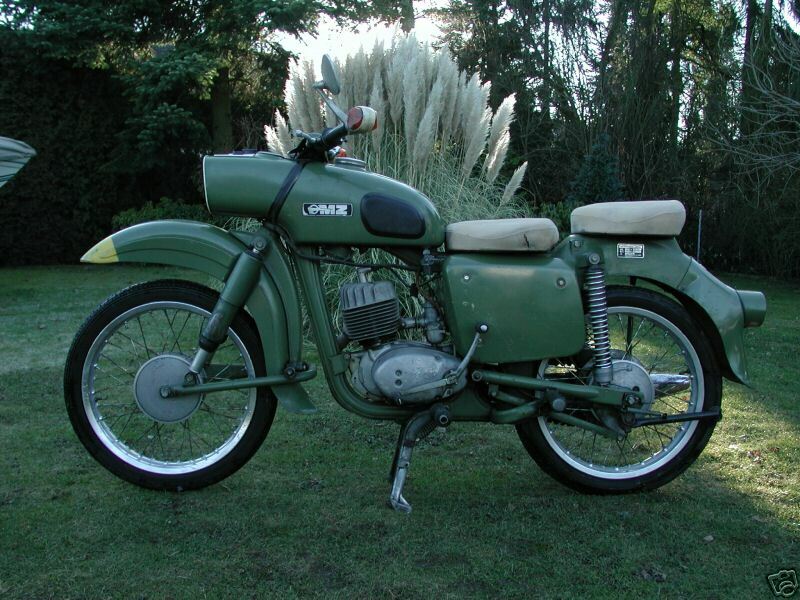 MZ motorcycles were built at the former DKW factory at Zchopau in East Germany, utilising an engine that was clearly derived from the RT series DKW engine that also provided the basis for the Bantam and a range of post war Harley Davidson lightweights. 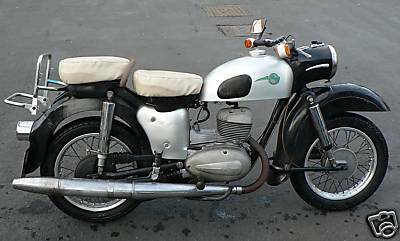 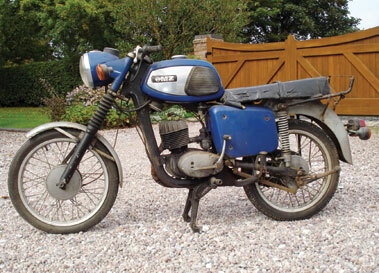 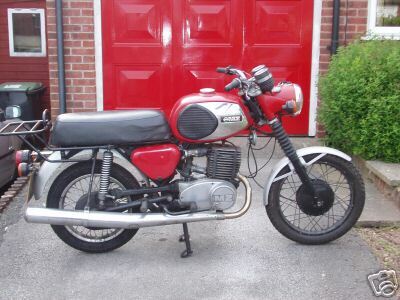 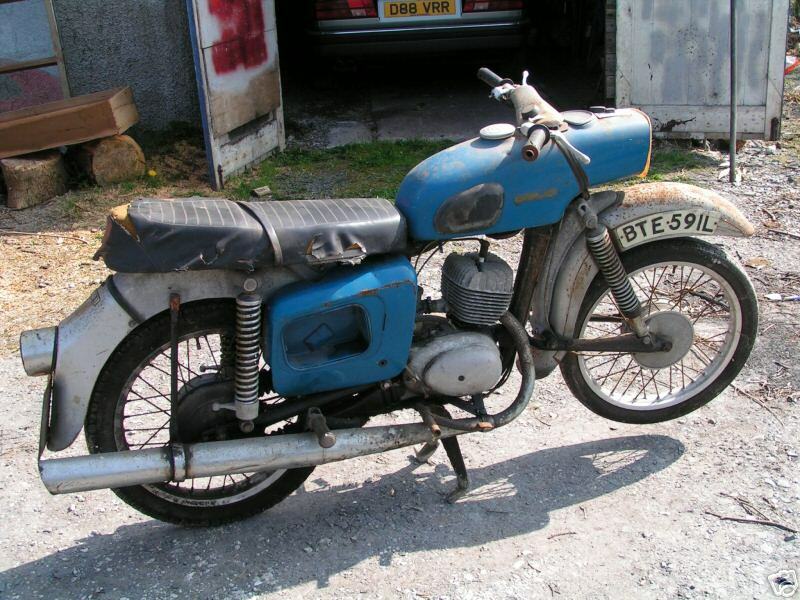 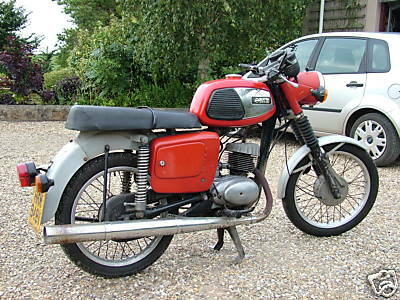 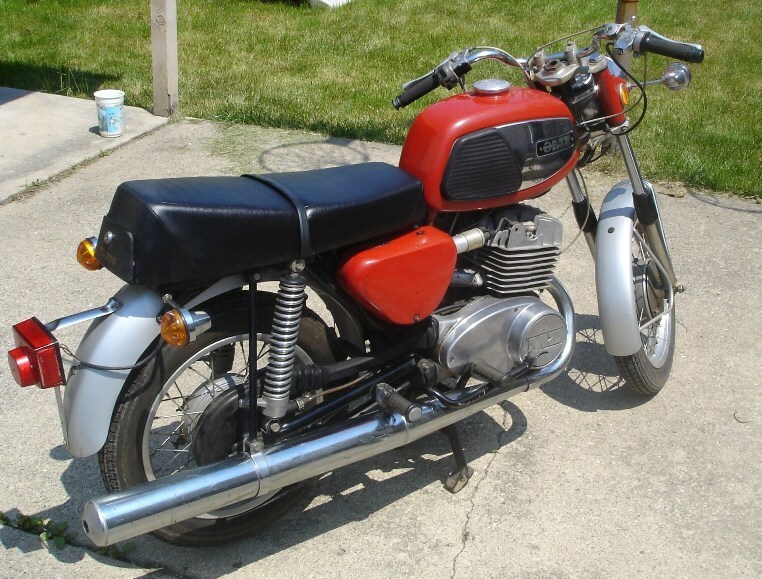 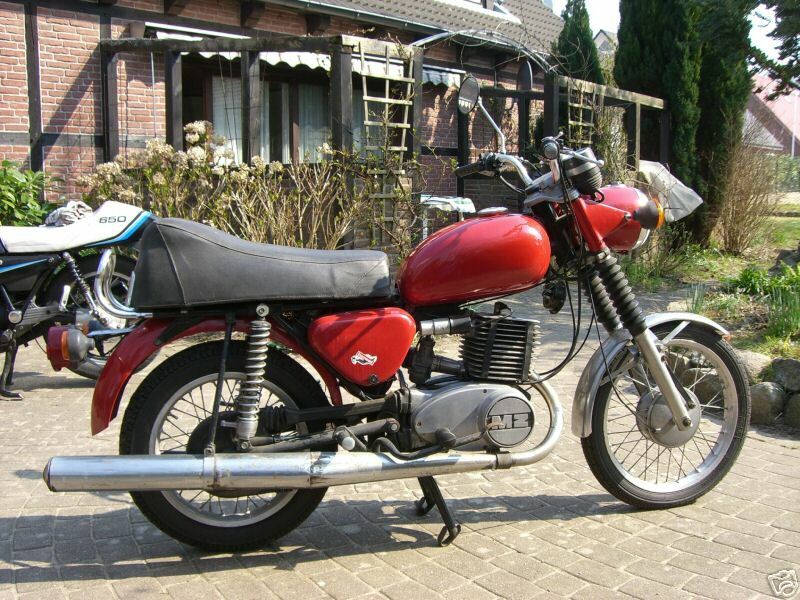 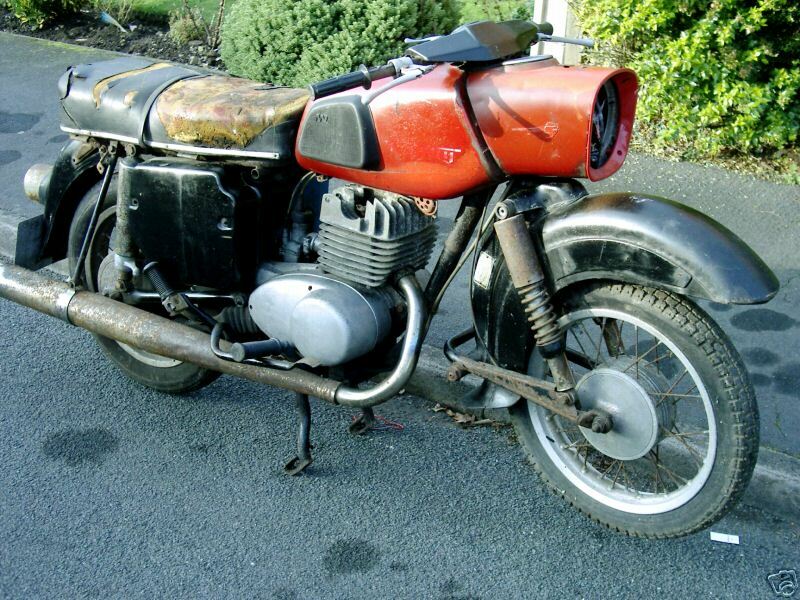 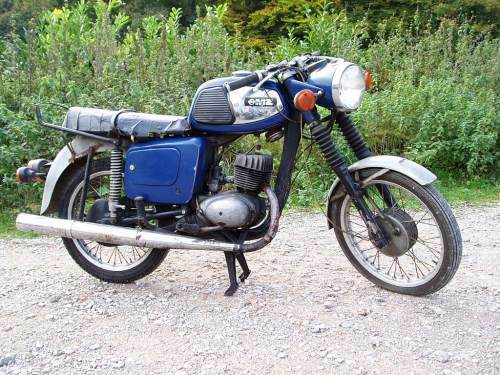 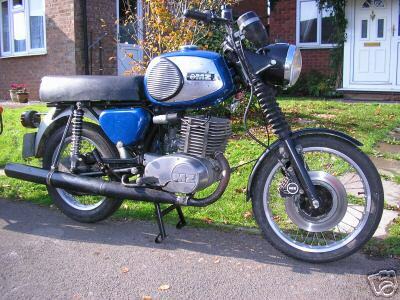 This example of the 143cc TS150 is in complete, original condition. 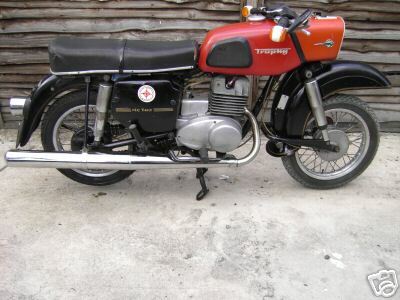 1980 MZ TS Sports 150cc. 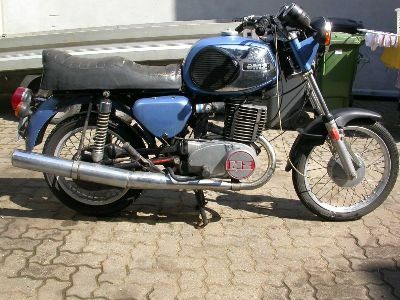 The East German MZ company were at the forefront of two stroke development during the fifties and sixties, meeting with considerable success in both road racing and ISDT events. 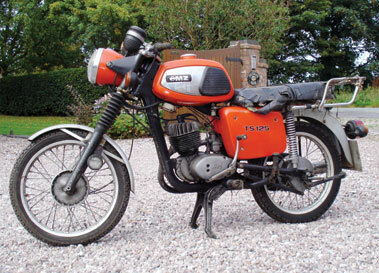 Their road bikes, although offered at an advantageous price in western markets inherited the robustness of the ISDT bikes and gained a loyal following.